For your furry best friend that loves to curl up sleeping, the Luxury Donut Cuddler from Best Friends by Sheri is an excellent choice. It comes with a robust construction and a design that is thoughtful enough you’ll be pampering Fido like a royalty. From the outside, the Donut Cuddler looks like an expensive round throw pillow on your couch. The raised rim that surrounds the Cuddler makes for a nifty pillow for your dog’s neck and head. 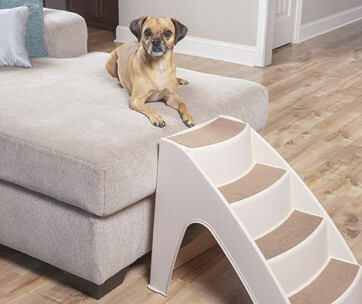 Its design nestles your dog, providing comfort and a sense of security as it sleeps the night away. Dogs that love to curl up when sleeping will love the soft sides of the Cuddler. 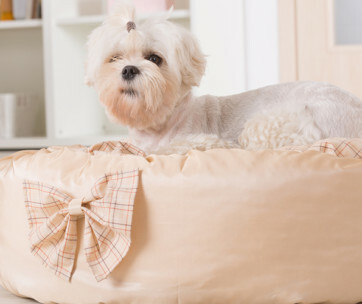 This provides a gentle and soft surface upon which your dog can rest its back. There are deep crevices in the design of the Cuddler so your pet can relive its ancestral instincts of burrowing inside the cave. 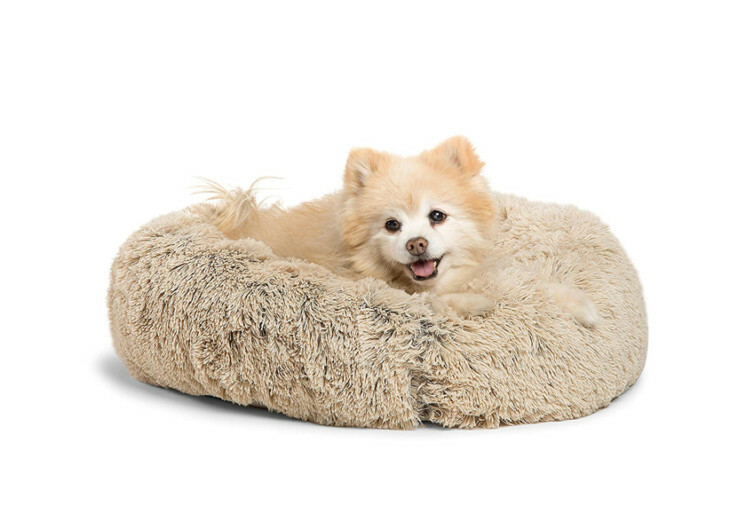 This is a donut doggie bed that focuses on your pet’s ultimate comfort and sense of security more than anything else. But if you think that’s all there is to the Donut Cuddler, you’re wrong. 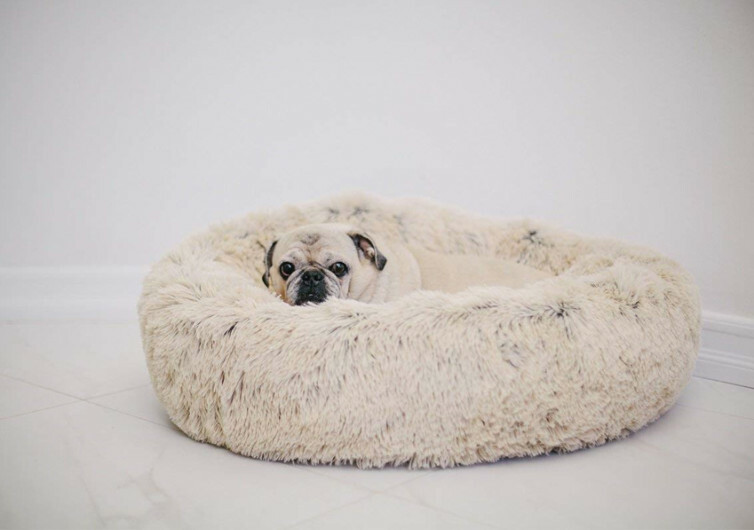 This donut dog bed comes with a self-warming construction courtesy of a unique fill. It absorbs your pet’s own body heat and reflects it back to give Fido that comfortable warmth it needs on cold days and nights. It’s not an orthopedic bed, though. Regardless, the Donut Cuddler is still a great bed for dogs with muscle problems and those that are recuperating from an illness. 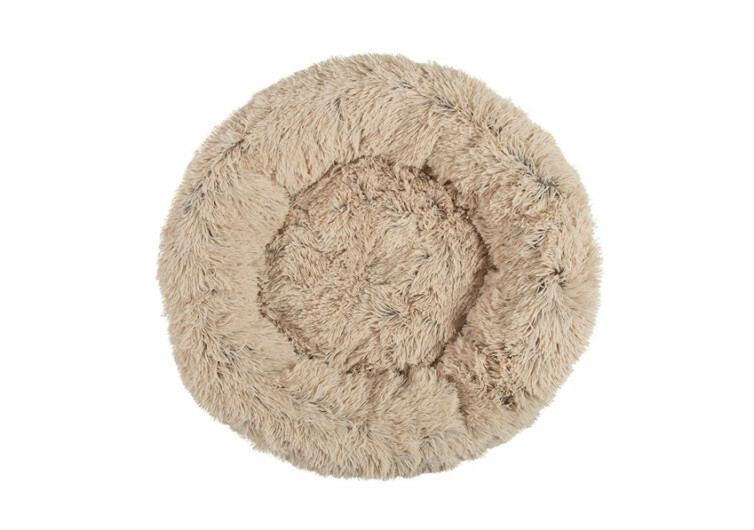 Forming the exterior of the Donut Cuddler is shaggy faux fur to give it a more luxurious appearance. This provides your dog with the sensation of cuddling up to its mother, lulling it to sleep. Under the dog bed is heavy-duty nylon that ensures dry and clean sleeping surface. 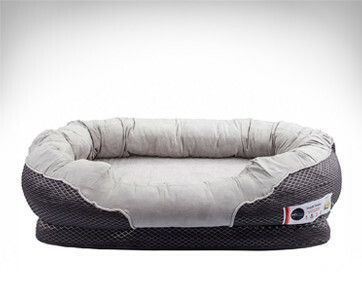 The bottom is water-resistant, making sure your pet stays dry and comfy while in slumberland. It’s skid-resistant, too. No matter how active your dog is in its sleep the Donut Cuddler will stay in its place. You don’t have to worry about cleaning the Donut Cuddler, too. The bottom resists dirt so cleanup is a breeze. You can also toss it in your washing machine and dryer for a more thorough clean. 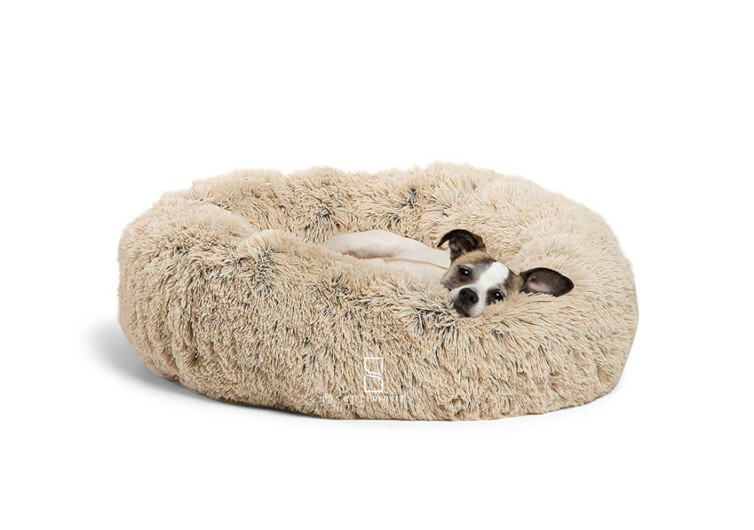 The Sheri Donut Cuddler is a good bed for any Fido that loves to curl up sleeping. 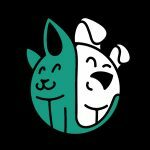 Its design and construction are thoughtful enough to merit your pet’s approval.